Historians know the story well — the opportunities of an intelligent, talented woman are restricted by a culture that sees women only as wives and mothers. The musical careers of Nannerl Mozart and Fanny Mendelssohn were never allowed to develop, although both may have been as talented as their famous brothers. Alma Schindler ended her possible career as a composer the day her husband Gustav told her the Mahler family could only contain one composer. Amy Beach (1867-1944) was a talented musician who confronted the same cultural restrictions as many women who came before her. Amy, however, was unwilling to accept the barriers imposed by the man’s world of composing and performing music, and her determination to overcome cultural restrictions led her to become one of the greatest and most significant musicians in American history. Born Amy Cheney, she was a child prodigy whose parents opted not to enroll her in a music conservatory. Instead, she studied with private teachers and debuted as a concert pianist to great acclaim when she was only sixteen. By any standard Amy would have been headed for a successful career as a concert pianist — if she had been a man. When she was eighteen she married Henry Beach, a Boston surgeon who was twenty-four years older. Dr. Beach told Amy to abandon her public performances, and at first she obeyed his wishes. Her creative spirit, however, could not be crushed, and she taught herself musical composition and orchestration. If her husband would not allow her to perform in public, she would at least be able to compose at home. In the process, she became a charter member of the first generation of American composers. Amy was a product of the Romantic era’s desire to create music with a national sound. 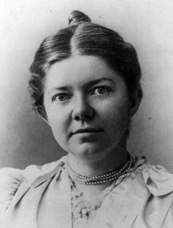 She therefore looked to her Irish roots for thematic material and created a sound that was uniquely Irish-American. 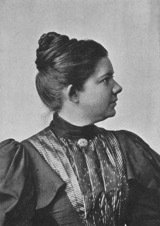 In 1896, when the Boston Symphony Orchestra played her Symphony in E minor (the "Gaelic" Symphony) she became the first American woman to compose music performed by a major orchestra. The symphony, characterized by its Irish-American themes, placed Amy in the first rank of American composers. After her husband died in 1910, she returned to performing in public and toured Europe, playing her own compositions. In her later years she continued to compose and worked hard to promote the careers of young composers. She died of heart disease at the age of seventy-seven. On July 9, 2000, Amy's name was added to the granite wall on Boston’s famous Hatch Shell, joining eighty-six other great composers. She was the only woman listed on the wall with such composers as Bach, Handel, Mozart, Beethoven, Chopin, and Debussy.